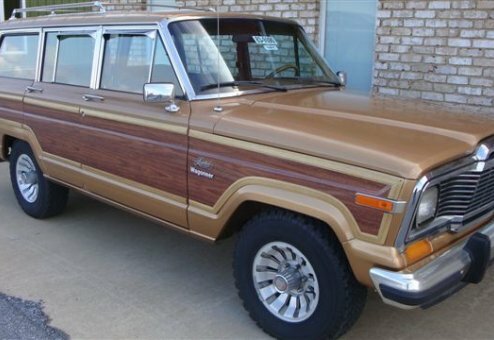 A rolling piece of art, this classic 1983 Wagoneer Limited edition is beauty to behold. Sharp color combo of Copper Metallic exterior and Honey Tan interior and only 78k original miles. You can own a piece of history while achieving your transportation needs in a timeless, elegant and classic fashion. A rust-free, smoke-free Southern Jeep, an extensive effort has been made to maintain this Jeep to the highest standards over the years. It's a true survivor. This Jeep -- and its next owner -- has benefited from its heritage of having a picky owner. For example, when the engine developed a slight tick, there was no letting it go. Instead, the engine was completely rebuilt! So while this Jeep has very low original miles on the body and frame, the engine is essentially brand new with less than 2,000 miles on it! Does it get any better for such a stunning classic? A review of the maintenance log and key work items below detail the attention this Jeep has received. Tight, smooth-running, cold AC, rust-free and ready to go, this Jeep is a value buy and you'll love the responsive, reliable performance this unit delivers. A definite Hamilton Collection gem -- you'll be proud to own and drive this Woody! Hamilton Collection Jeeps are finished out right, professionally maintained in-house, stored inside and regularly rotated (started & moved). Includes original owner’s manual & documentation, work receipts and a copy of the AUTOCHECK history report.